China will release new catalogues in five key areas within trade in services soon to support the nation's second round of opening-up for this sector in 2019, commerce officials said. At present, the five key catalogues have been substantially revised and will be released soon. The further opening of the high-tech, healthcare and pharmaceutical industries is expected to be a major breakthrough in the further opening of China's service market, said Xian Guoyi, director-general of the Department of Trade in Service and Commercial Services at the Ministry of Commerce. He said the ministry is currently working with other government branches such as the General Administration of Customs and the Ministry of Finance to discuss details of tax incentives, as well as favorable policies for the research and development of pharmaceutical business in bonded areas, and the new optimization policies will be soon introduced. The five lists include the catalogue of guidance for key areas of service exports, the catalogue of encouraged import services, the catalogue of guidance for key development areas in the service outsourcing industry, and the catalogues of technology prohibition and restriction on imports and exports. Trade in services refers to the sale and delivery of intangible products such as transportation, healthcare, product development, logistics, tourism, telecommunications, construction, advertising, computing and accounting. Li Gang, vice-president of the Chinese Academy of International Trade and Economic Cooperation, said the government will pay a great deal of attention to the development of digital technologies to enhance its service capacity during the new round of the opening of services trade. "Another major task for the government is to meet the changing demands of domestic consumers in areas such as healthcare and high-end service products, as it has been keen to introduce convenient measures to simplify the clearance of pharmaceutical products and recruit outstanding researchers in the medical field across the world," he said. The market potential of China's health services industry alone is expected to be as high as 8 trillion yuan ($1.17 trillion) by 2020, according to data from the Beijing-based China Chamber of International Commerce. Chi Fulin, president of the China Institute for Reform and Development, said the size of the Chinese market would not only provide huge investment space for domestic capital, but will also be one of the focuses for global companies. "Many foreign investors have already quit labor-intensive industries and are shifting to services and technology-intensive industries in China," said Sang Baichuan, a professor of international trade at the University of International Business and Economics in Beijing. China's service trade hit a historic high in the first 10 months of 2018 with optimized structure and stable progress, data from the Ministry of Commerce show. 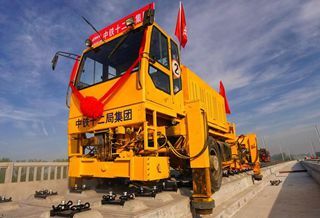 The nation's service trade grew 11.1 percent year-on-year to reach over 4.3 trillion yuan from January to October last year. China has taken steps to improve the development of trade in services, including gradually opening up the finance, education, culture, and medical treatment sectors. The Shanghai Pilot Free Trade Zone also issued the country's first negative list in the service trade field in October 2018.